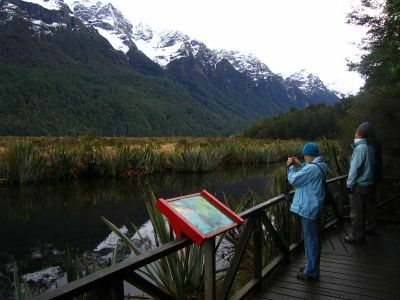 after queenstown, we headed to the very southwestern part of new zealand; fjordland national park. the weather there is almost never good so i am not too happy with the following pictures but i have to post them. this is mirror lake. 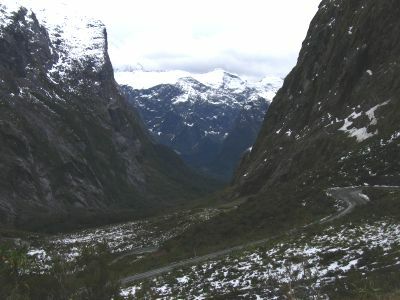 the road down to milford sound, where you can do a fjord tour by boat. we came through a tunnel, a very dark and narrow one, that was carved right through a mountain of solid rock. 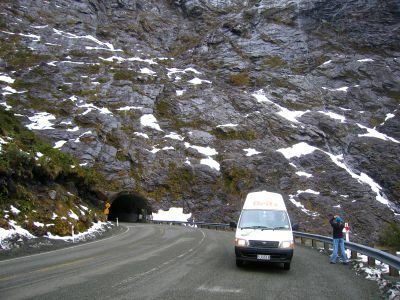 the scenery around us was incredible so we pulled the campervan to the side and snapped some photos. the boat we toured the fjord in. 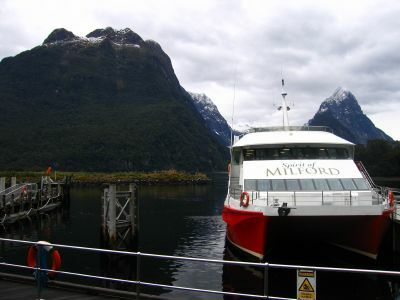 milford sound isn't a sound, it's a fjord. 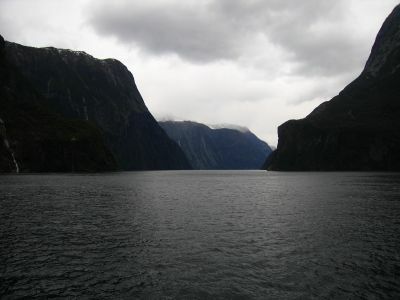 fjord's contain towering cliffs with waterfalls crashing down them - here is one right here. it's a great place, but just very hard to get good pictures of. 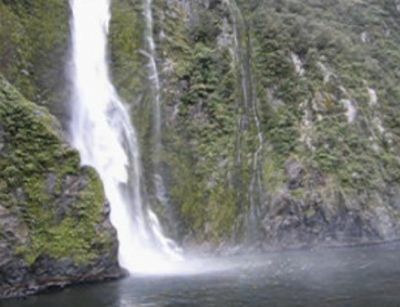 in te anau, the town just outside milford sound, sharon and i met a nice kiwi couple who gave us tickets to the rugby match of southland versus the british lions. 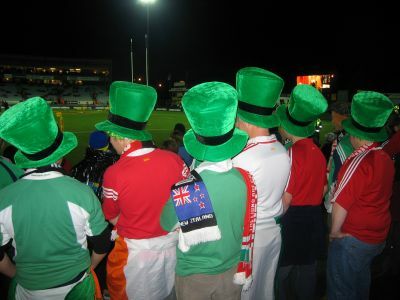 the best players of england, scotland, wales, northern ireland, and ireland were in new zealand to play rugby. 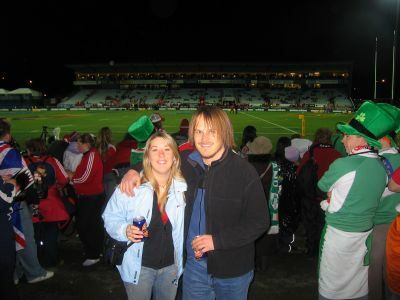 sharon is from england so she was quite excited to see the game in invercargill, at the bottom of the south island. 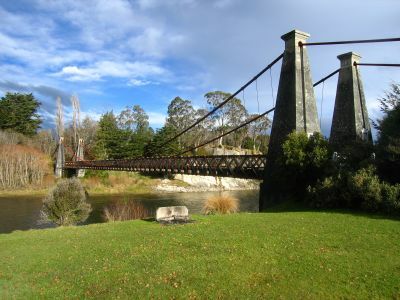 we stopped for lunch on our way at the historic clifden suspension bridge. we must be off! 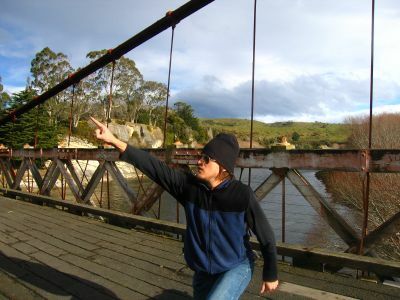 to invercargill! for rugby! 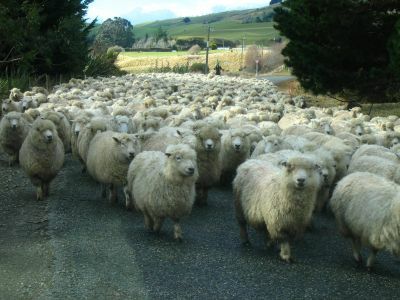 but we were thwarted by sheep. they are all over new zealand and once they take a road, they've got it. the folks from the u.k. and ireland came out in force to support their team. here are a bunch of fans from ireland cheering on the lions. they beat southland in this game but the games they really wanted to win, versus the all blacks, didn't go so well; they lost, three games to zero. sharon and i enjoying a few beverages at the game. during the lions tour, these statues stood in the cities all over new zealand. they were giant and made of iron, just like the all blacks.